No matter the time of year, I get inquiries about the best way to purchase Kinney Brothers Publishing textbooks and downloadable resources. You shouldn’t have to worry about getting the materials you need for your students. We offer many options so you can make the best choice for your classes. In Japan, the Stories For Young Readers series, published by Independent Publishers International (I.P.I. ), is available with a special discount through David Paul’s ETJ Book Service. Print-on-demand services make this series available online through Amazon.com world wide! For full textbook pdf and paperless (Google Slides) downloads, visit Donald’s English Classroom! The Stories For Young Readers series includes questions, grammatical explanations, exercises, and puzzles for beginning students. The books are designed to extend students’ skills and interest in communicating in English. Teachers can utilize the stories and exercises for listening comprehension, reading, writing, and conversation. Book 1 focuses on present simple and present continuous reading exercises. Book 2 takes students further with simple past, past continuous and simple future tenses. Check out the previews or download the first readings from Book 1 and Book 2 for free! They include audio files, answer keys and dialogues! You’ll find an abundance of support materials for this series in our online store, Donald’s English Classroom. Visit for downloadable flash cards, charts, games, textbooks, answer keys, and audio files. You might also be interested in Dialogues for Young Speakers – a series of dialogues and surveys designed to extend students’ conversation skills. Following Stories for Young Readers, the dialogues progress from present simple to present continuous in Book 1, and simple past, past continuous, and future tenses in Book 2. Not only will teachers find a wealth of material that will get students up and talking, the dialogues also prove that students can effectively communicate with even a limited vocabulary. 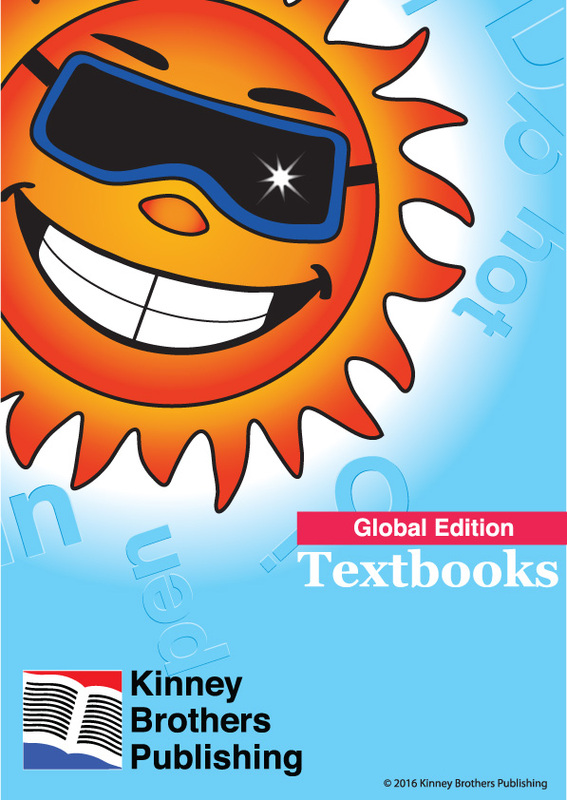 You can download these textbooks online, order directly from the Kinney Brothers Publishing web site, or order on Amazon.co.jp. Download previews for Book 1 and Book 2 here! If you’d like to learn more about all Kinney Brothers Publishing has to offer, please download our catalogues! Peruse the complete lineup of our Global Edition ESL Textbooks or check out our ESL Store right from your desktop! 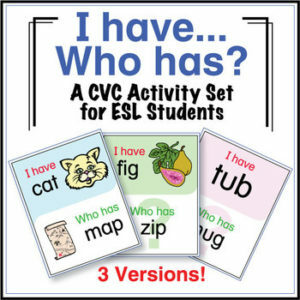 Sign up for our newsletter and download a free CVC I Have/Who Has Activity Set! If you have any questions, please don’t hesitate to contact me at info@kinneybrothers.com.